You can work with calendar and reminder for Mac! It will also appear in the Notification Center for Mac & iPad! Today 〜 30 - 30%OFF on InAppPurchase !! The organizer will be able to keep using for years. "iCloud support schedule book !" Welcome BusinessGear -Presentation to your clients & Manage your Appointments- App ! * With the purchase of iPad version app iPhone version app, you can synchronize the schedule in iPad and iPhone. All data can NOT SAVE. if you will purchase "Unlock Restrictions" In-App Purchase, you will save all data. --- 3 functions seamlessly work. Strong PDF Viewer that support PDF Link. we recommend that you use as eBook Reader. Support 10 languages that English, Chinese-simplified, Chinese-traditional, Spanish, Japanese, French, German, Korean, Russian, Portuguese. 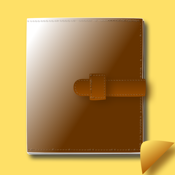 - Select the background of the notebook in the file viewer. - You can find the notes from the appointment of a day. - Selected a photo as background in Notes, the photo will be automatically registered in FileViewer. - Searchable All archive that Notes Title&Tags, Files Title and Appointments Title&Details. Notes is a smooth Handwriting Notes App. on external monitor with multi-scan. and you can send with Email that you have wrote on map image. you can search by any words that Notes Title and Tags, or search by date that it works with Appointments. FileViewer is Strong PDF Viewer. we support Zooming on external monitor. Of course, view some Image(photos, jpeg, giff, png), Word, Excel, WebPage(HTML), any program text and more. you can add Public Holiday in your country (17 countries). otherwise, you add some holiday what you want. we will supply public holiday data on each year. Pinch gesture in your appointments, expand up the area. we wish that you will enjoy !